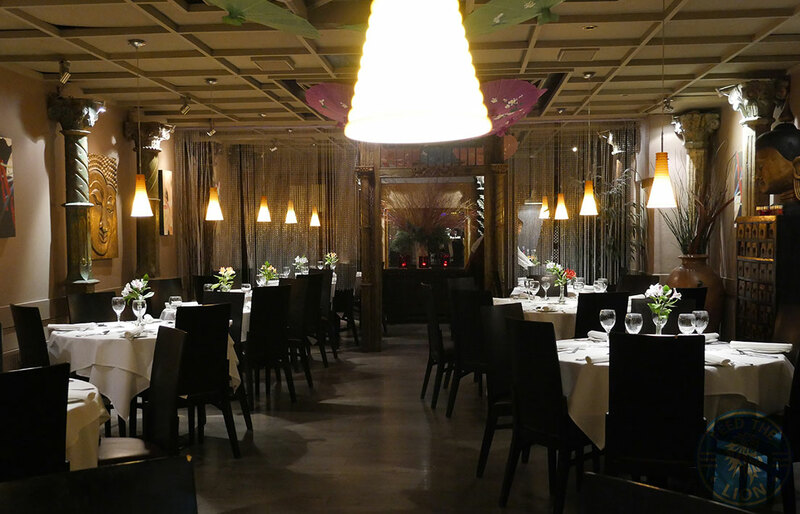 Tiger Lily is a Thai restaurant in Osterley that looks imposingly attractive from the outside. 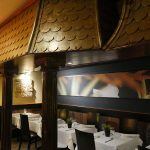 Not only is the venue a spaciously large one considering its residential location, but also boasts a menu with almost as many items as its total capacity of 110 – 94 to be exact. 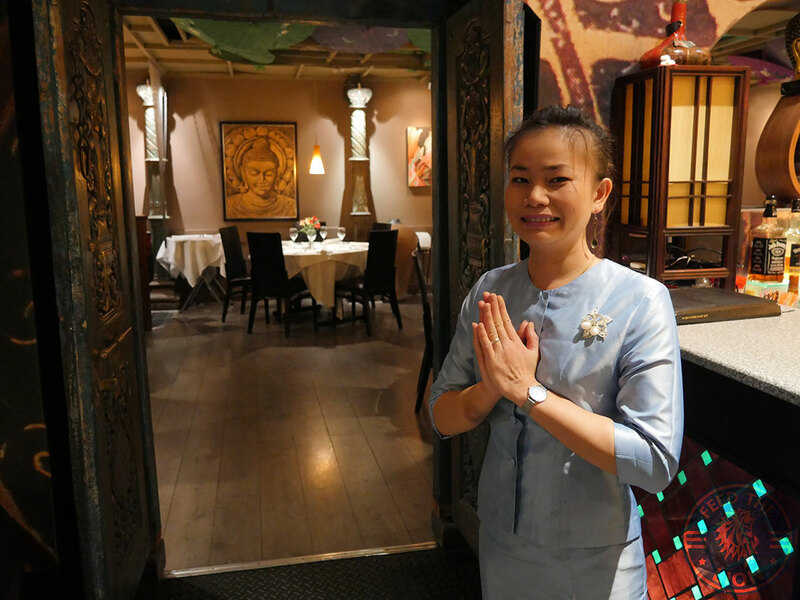 The place itself has an outdoor terrace that can comfortably cater for 30, a lounge area, which also happens to conveniently house the alcohol bar, that seats 20, and the main dining room that accommodates for the remaining 60. 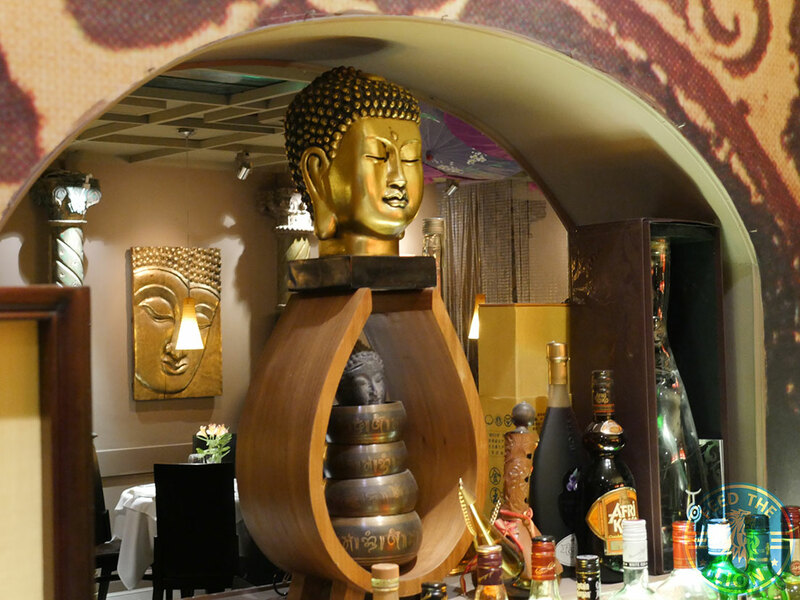 It’s the dining area, however, that’s the most impressive part of the restaurant, with ornate pillars, low-hanging light shades resembling giant screw-bulbs, along with large, wooden carved heavy doors that serve to partition the room into two with a semi-private area at the back for 12. In fact, this place used to be a Chinese eatery before it was taken over by the current establishment almost a decade ago. 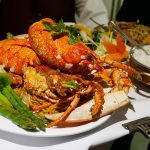 When doing so, Tiger Lily astutely decided on retaining some of the previous restaurant’s dishes that were popular with the locals. These have been conveniently distinguished and clearly identified on the menu by a red Chinese insignia. Other than your bog standard soft drinks, there’s not much of a non-alcoholic drinks menu to speak of here. Consequently, we opted for a glass of standard tropical juice (£2.25)! 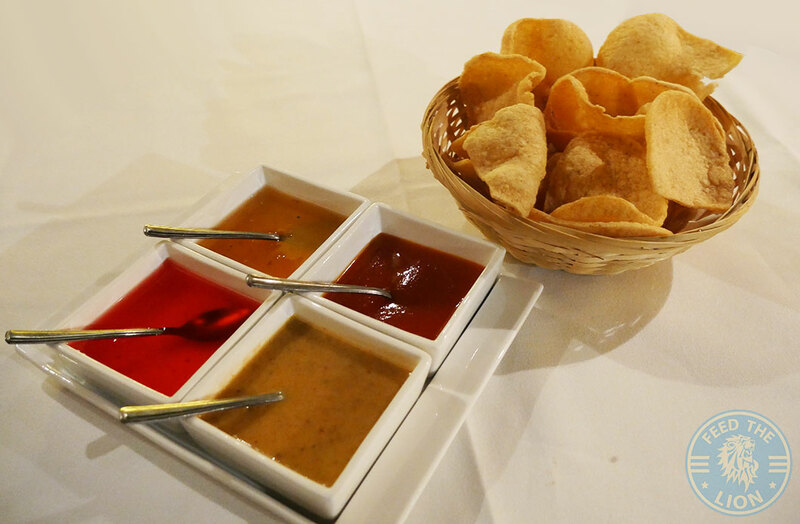 We were also served the above complimentary Thai crackers along with a number of sauces that included peanut, chilli, mango and a type of sweeet and sour. 1. 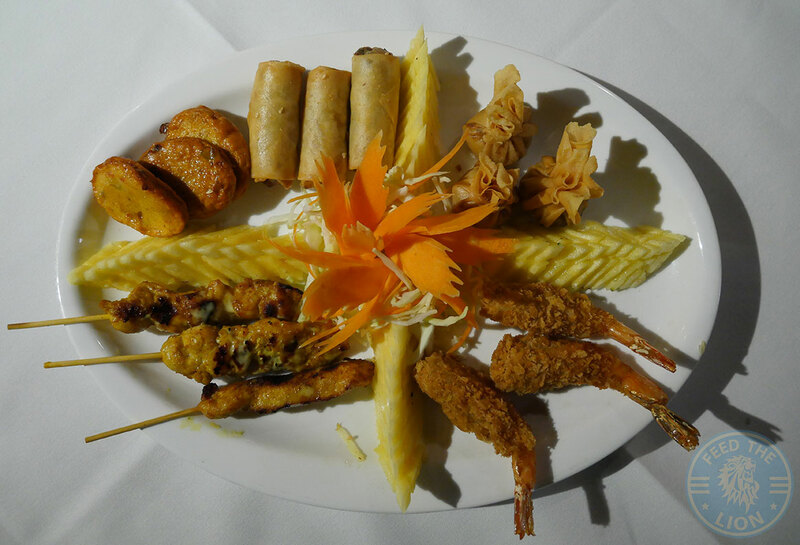 Tiger Lily Hors d’Oeuvres per person £7.50 (minimum 2 persons), selection of six starters: Chicken Satay, Fish Cakes, Spring Rolls, Sesame Prawn Toast, Toong Tong and Fried Prawn. All served with a variety of dips. 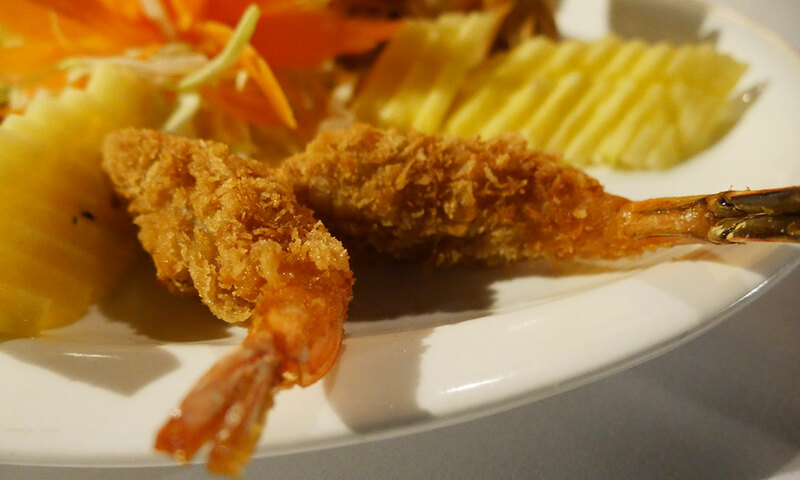 The Sesame Prawn Toast, which is usually part of the selection of six hot starters that makeup the restaurant’s Hors d’Oeuvres platter, wasn’t available on the evening of our visit. 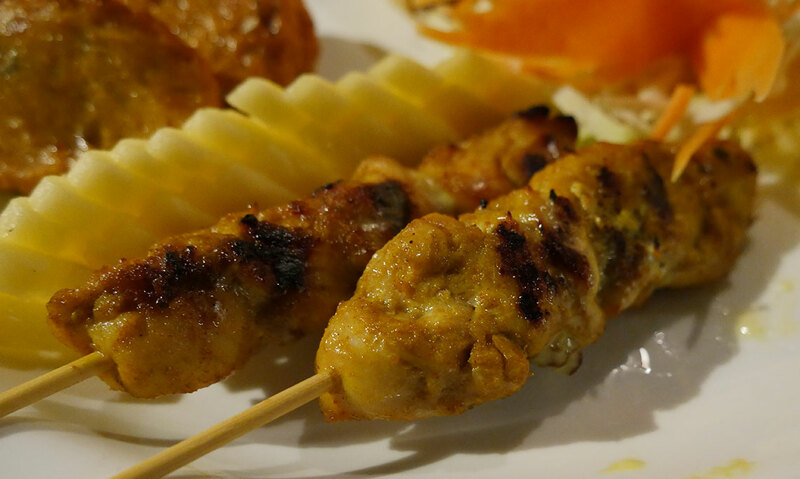 A perfectly marinated Chicken Satay that had a nice, crispy chargrilled exterior, and was soft and succulent on the inside with a tender springiness to it. 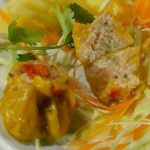 Although these Fish Cakes were flavoursome, they were small and slightly on the rubbery side. 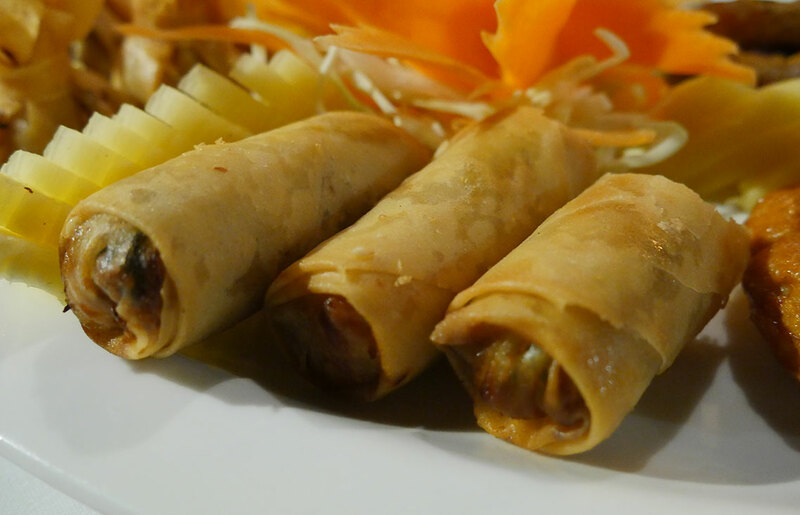 Your standard Spring Rolls, with a crunchy exterior, that went well with any given sauce. Nothing special here. 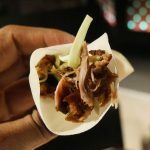 These Toong Tong were crispy and greasy with a subtle taste to ’em. Again, nothing to write home about. Crispy battered tiny Fried Prawns that were a touch oily. 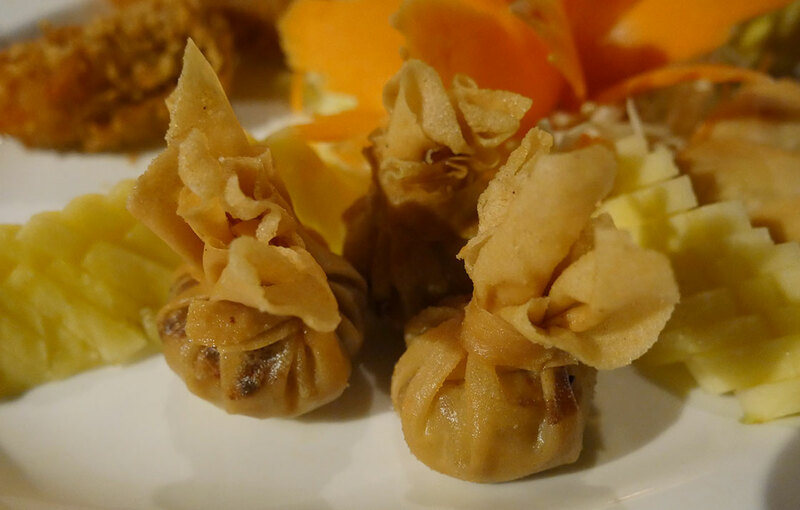 These small Prawn Dumpling parcels aren’t worth the £6.95 prize tag if we’re honest. These were soft and springy in texture, and had a light fishy taste to them. They also went well with the the sweet sesame sauce. Other than that, quite unmemorable! This crispy duck was an extremely good dish not least because, unlike many others crispy duck pancakes had, this retained its relative moistness. 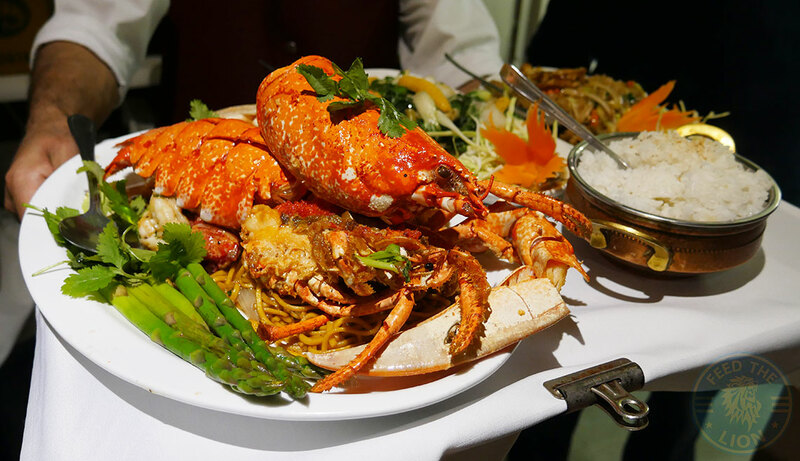 Its strongest suite was its texture with around a 70-30 ratio of soft-to-crispy bits coupled with moments of crunchiness delivered by the skin therein. As a pancake with all its accompanying condiments, what you have here is a delicious little starter, especially when had with the strong hoisin sauce that assured a pleasant sweet edge. 41. 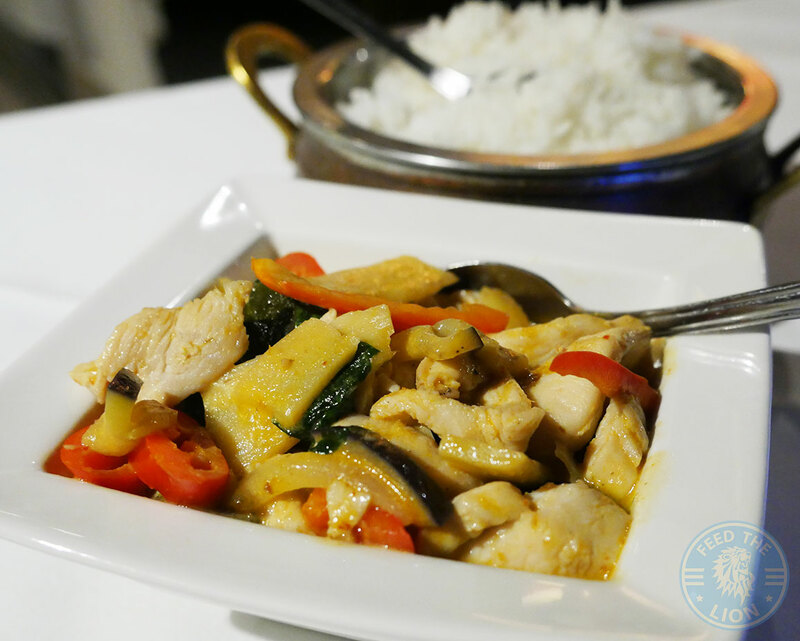 Gaeng Daeng £9.50 – Red curry with a choice of chicken. This red curry certainly split the crowd. 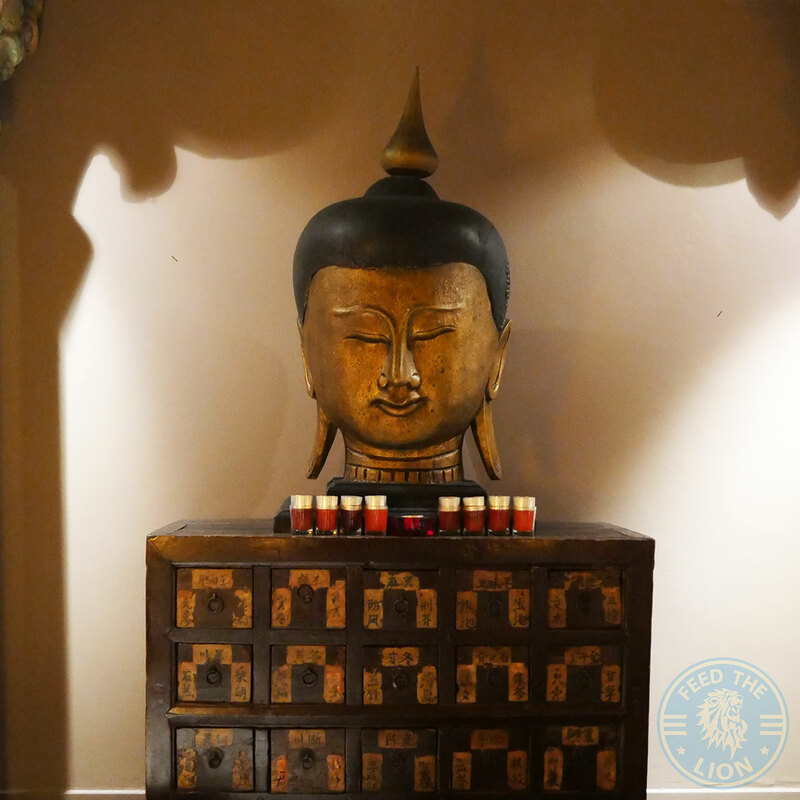 While two Lions considered it a poor attempt given an extremely watery and fairly insipid broth which resulted in a disjointed dish of chicken and curry sauce, the remaining Lion thought it to be a “fabulous meal” in which the lemongrass and spices were “very well balanced”. Nonetheless, although this was designated with 2-chillis, we were all agreed that this wasn’t very hot. 46. 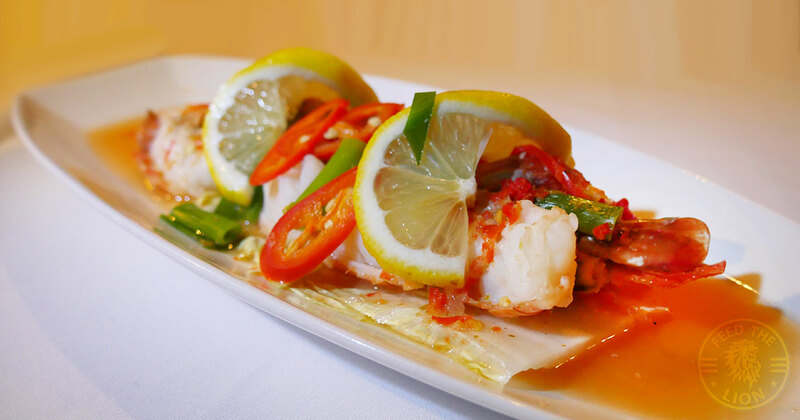 Pla Lad Prik £13.95 – Crispy fried Sea Bass, topped with home-made chilli sauce. This Fried Sea Bass was, indeed, the dish of the evening! 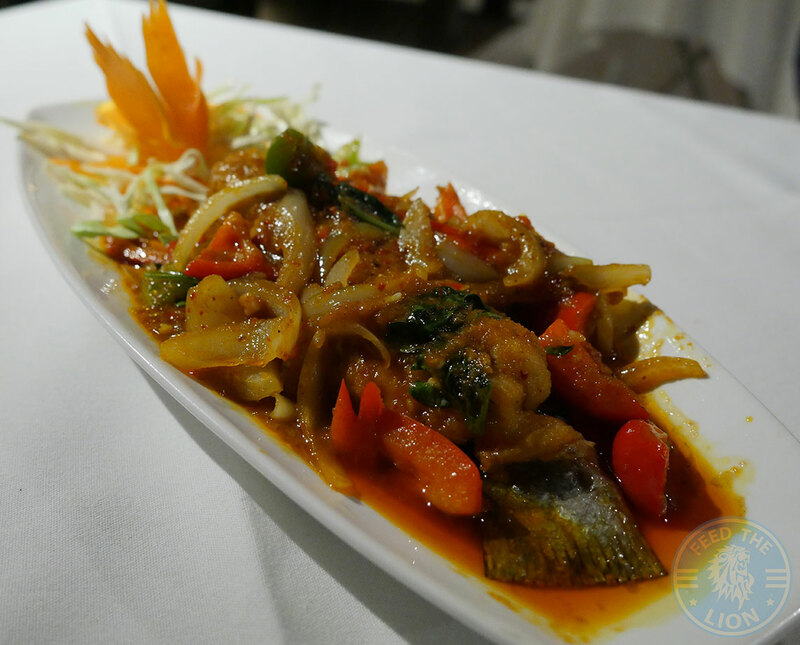 A perfectly cooked piece of quality fish that managed to retain a crispy skin despite being smothered in a rich, chilli onion sauce that was deeply flavourful, with an almost fruity-like taste to it. The rice was sticky and a good accompaniment too. RECOMMENDED! 47. 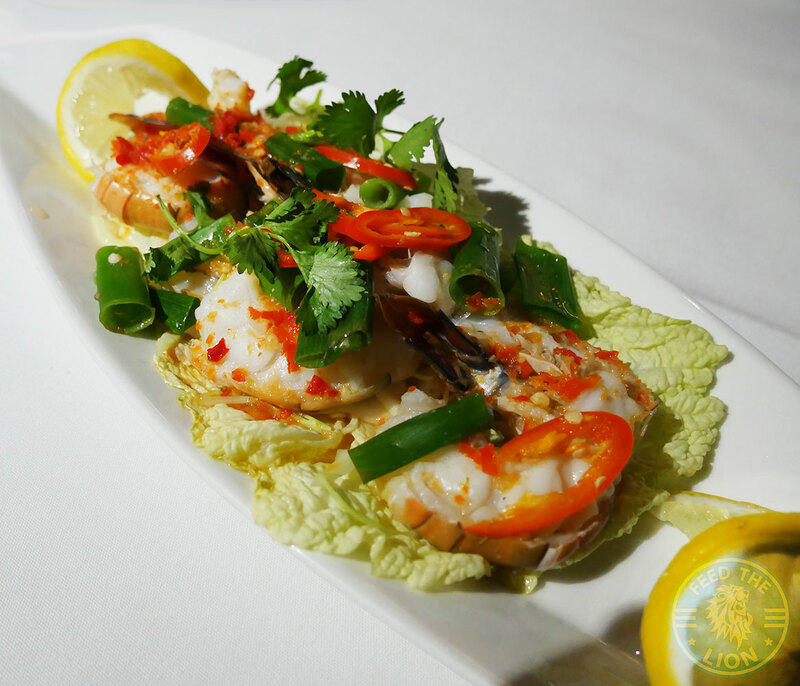 Neung Ma Now £13.95 – King Prawns with lemon sauce, garlic and chilli. 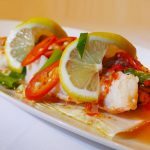 Soft and succulent, these prawns were just as well cooked as the sea bass, and drizzled in a chilli marination just as pungently strong and heady as the above, though in this case well tempered by the tanginess of the squeeze of the lemon. 64. 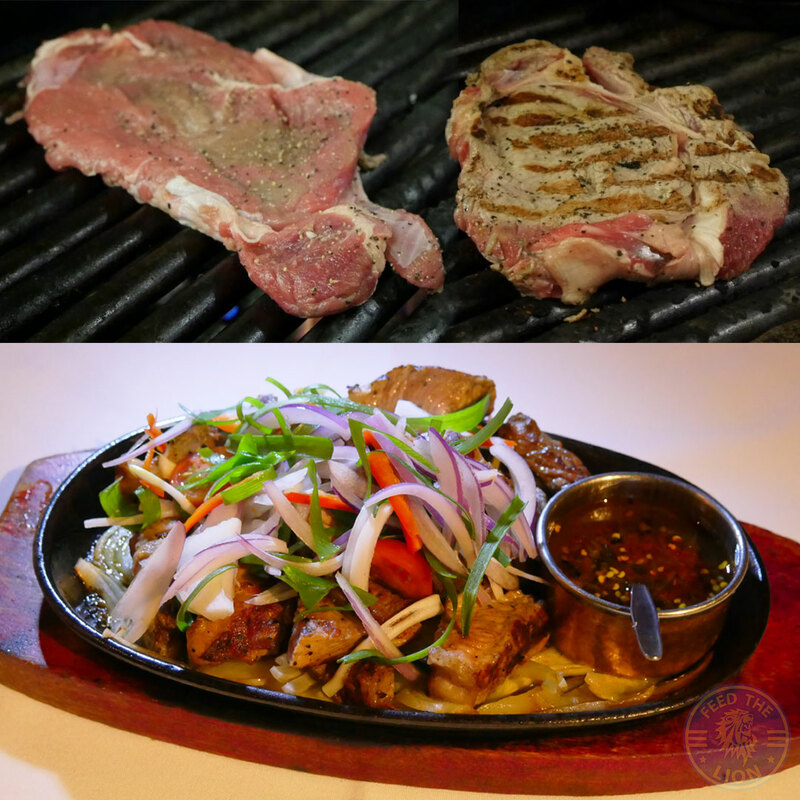 Weeping Tiger £13.95 – Grilled sirloin steak marinated with ground black pepper and Thai herbs, served with special Thai sauce. 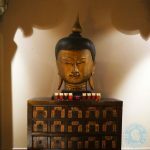 We couldn’t work out whether this was Thai or one of those sizzling kebab hot plates served at your local tandoori kebab shop. The beef was chewy – very chewy – and subtly flavoured. Resting on a bed of semi-fried onions that should have been properly caramlised, this dish came with a strong sweet-chilli watery sauce whose zingy kick ultimately failed in rescuing this confused Weeping Tiger. The bean curd were delicately soft and flavourous having succeeded in properly soaking up the subtly-spiced sweet chilli sauce. Meanwhile, the vegetables of broccoli, onion, mushrooms, red pepper and carrots managed to retain a good bite. A decent option for the vegans here. 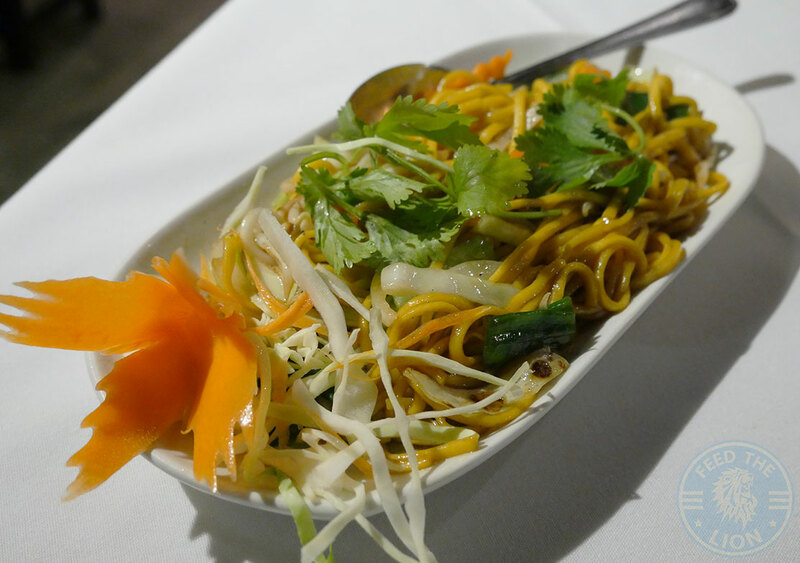 The only positive thing about this Chow Mein were the noodles, which were al dente. Otherwise, there wasn’t anything else worthy of recognition. It was subtly spiced and not much more. Pretty poor! 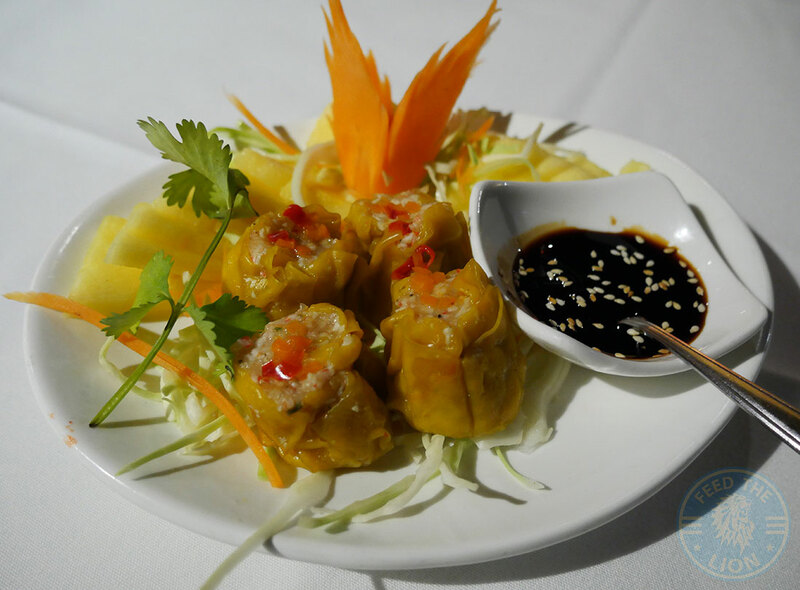 Thai Mango with Sticky Rice £5.50 – steamed sticky rice cooked in coconut milk and Pandan leaves. 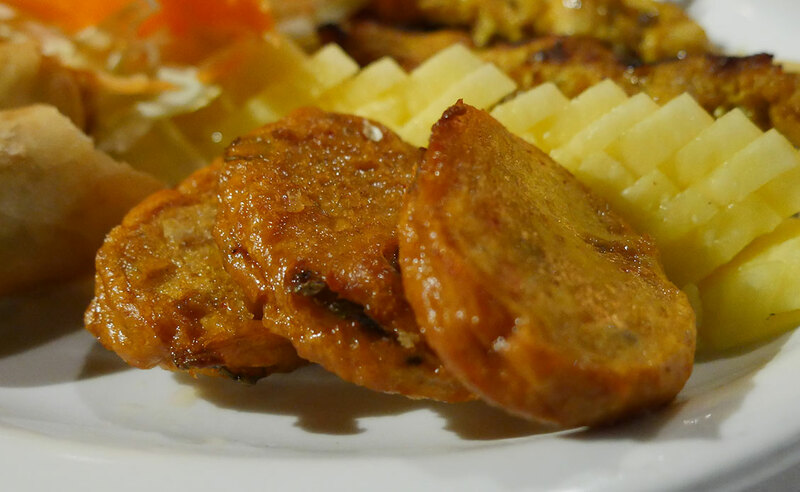 This is a very popular Thai national dessert, and a solid one at that. 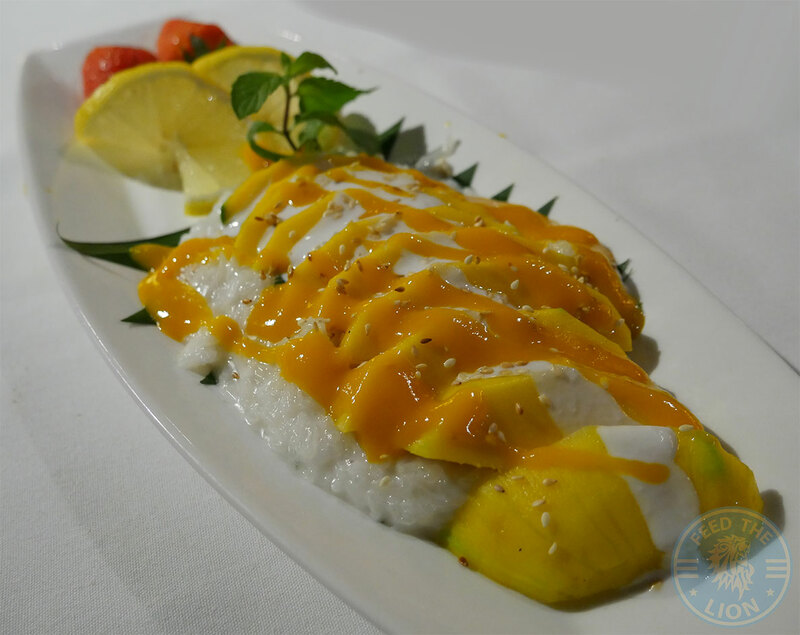 What we had here were soft and sweet warm mangos drizzled in a mango sauce, with a sprinkling of sesame seeds, and resting atop a subtly sweet and quite deliciously sticky coconut-infused rice. The balance of acidity and sweetness was well achieved in this dish making it a wonderful finale to the evening. 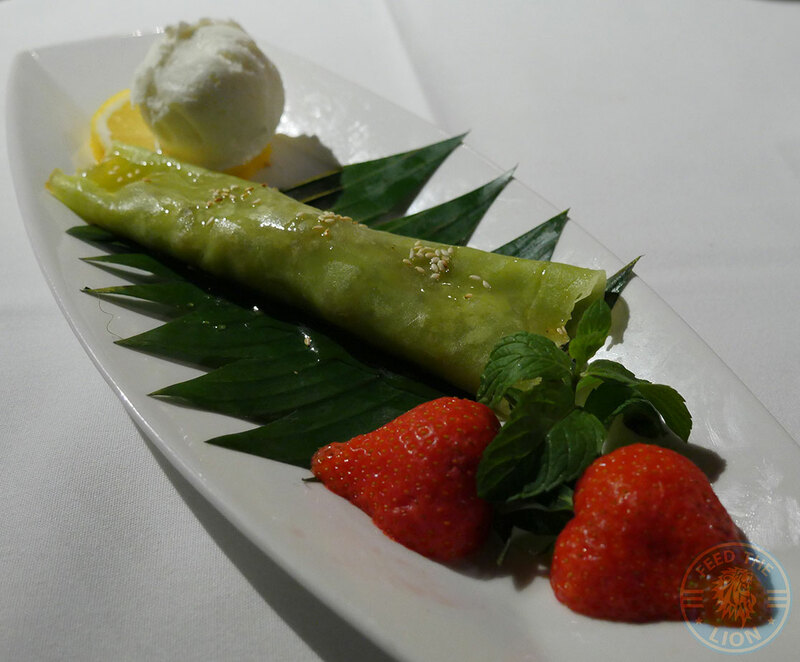 Thai Pandan Pancakes £5.50 – pancakes mixed in coconut milk and Pandan leaves, with dessicated coconut and served with honey, sesame seeds and coconut ice cream. What made this final dish such an intriguing one was the delightful interplay between the ultra-sweet pancake, the coconut ice cream and the fresh strawberry garnish. Placing the smooth and creamy scoop of coconut ice cream atop a slice of lemon was a stroke of genius.When had alongside the tart strawberry slices, not only did the lemon lend a sharp citrusy edge to an otherwise subtly sweet ice cream, but helped to balance the dish and neautralise the pancake’s sticky-sweet filling. We also concluded the evening with Jasmin Tea (£2.10 per person). 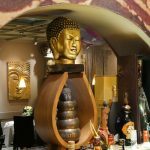 New review with ?% discount at: http://feedthelion.co.uk/tiger-lily-thai-osterley @TigerLilyofOsterley has been established in Osterley for almost a decade now. 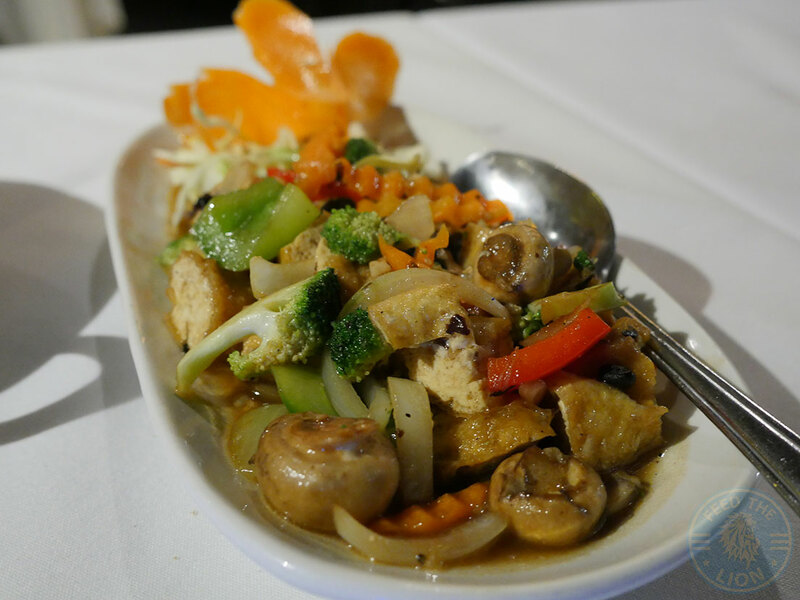 It's an impressive looking Thai restaurant that offers a large variety of dishes, 94 to be exact, including a number of Chinese ones from the previous establishment that were popular with the locals and thus astutely retained. 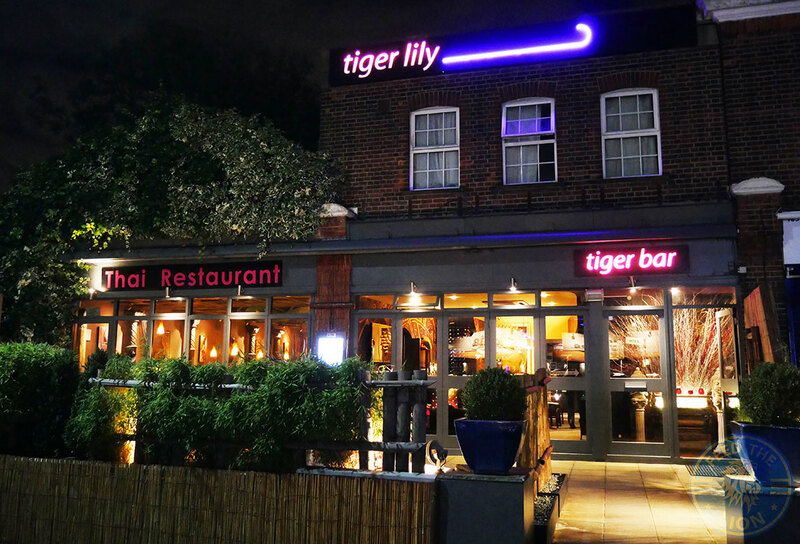 Tiger Lily has been established in Osterley for almost a decade now. 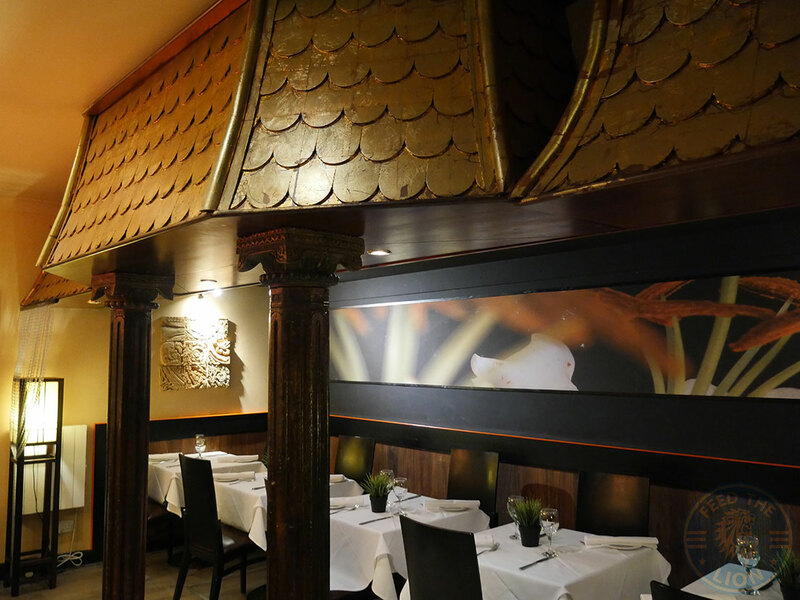 It's an impressive looking Thai restaurant that offers a large variety of dishes, 94 to be exact, including a number of Chinese ones from the previous establishment that were popular with the locals and thus astutely retained. 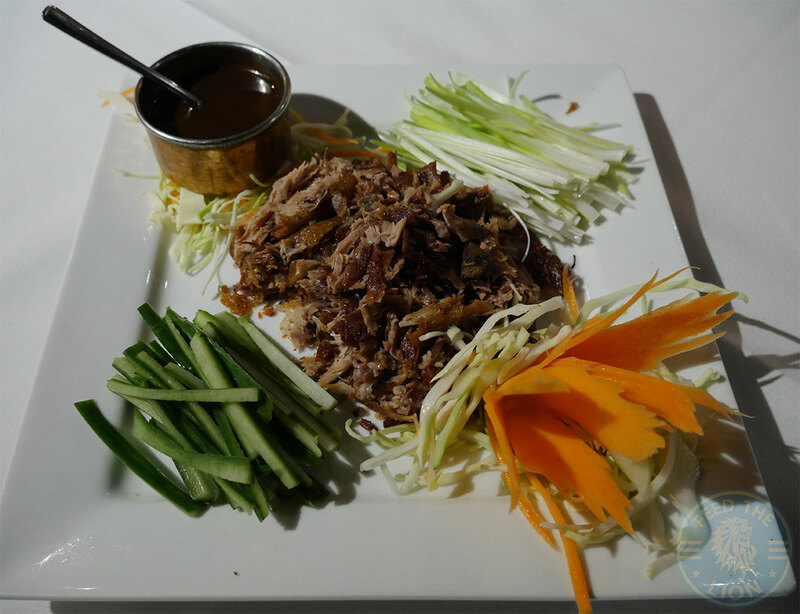 While there were a few dishes that we thoroughly enjoyed, including the Chicken Satay and Fried Duck appetisers, along with the two desserts, the majority hovered between average and good.